Read the response of other guests below or sign our Guestbook ! Sitting outside, reflecting in the WONDERFUL few days we’ve had in the French countryside. This really is a Rock Climbers paradise. Menno & Anne-Lise, you were so kind and helpful during our stay. We loved waking up and eating breakfast outside. Exploring the nearby medieval towns and of course climbing. We were lucky enough to climb at Saffres (near Vitteaux): MUST climb areas! We can’t wait to return for an even longer stay! P.S. Most confortable bed we’ve slept in !! Thank you for a relaxing stay in your beautiful cottage. You provided everything we needed, plus charming style and warm attitudes. Menno and Anne-Lise were gracious hosts. Very kind and enthusiastic about the area. The home was cosy and everything we wanted for a quiet getaway in Burgundy! We loved the local boulangerie and walking through the countryside. The views from the home are breathtaking! We sat outside for breakfast and coffee every morning. Highly recommend this cottage for couples (and their dog) traveling to Burgundy! Nice house in a bucolic environment within short distance from interesting sites. This property went above our expectations – the location was scenic and peaceful. Photos do not do the house and its surrounding landscape any justice. If you are looking to explore Route des Grands Crus/Dijon/Beaune this is a great option. It is tucked away in the countryside away from any hectic downtown centers, 45 min or so away. Worth the drive and it was a breeze when we spent one full day sightseeing. Place was conveniently stocked to anticipate every need for a getaway. The layout of the space is simple but spacious with very warm decor, very cozy. Menno & Anne-Lise were friendly and communication was always made available. Made our first trip to burgundy just that much better. Would definitely stay again. Thanks for the memorable time! What an amazing part of the world! We had such a great stay, the cottage has everything you need and is in a fantastic location in the beautiful rural countryside of Burgundy. Menno & Anne-Lise were very friendly and helpful, we definitely recommend staying here and would love to come back! Thanks for everything, we had a good night at your amazing place! I stayed here for a night with my mother and three kids on our way to Normandy. Menno was very friendly and showed us around. He made the kids feel special, explaining the history of the chateau to them. It was a comfortable stay and we enjoyed breakfast in the sun outside the next morning. Thanks for a great stay! We thoroughly recommend Menno and Anne-Lise’s delightful home – it is even nicer than the pictures. Inside is everything we needed for a most comfortable holiday. Outside are three sitting areas, looking over the beautiful Burgundy countryside. Menno and Anne-Lise are warm, welcoming and make many helpful suggestions about day visits from the village, which is very well situated in the area. We had a most enjoyable week. A beautiful and peaceful escape from our busy lives in England. We picked this place down to luck, but we couldn’t have wished for a nicer place to stay. You are great hosts and the house is delightful. Our highlights of our stay have been visiting the small towns around the area, exploring the country side and cooling down in the nearby reservoirs. We have also enjoyed the lovely local products and trying all the different types of food. Thank you so much for welcoming us into your beautiful house in this beautiful part of the world. We loved our stay and we’d love to come back sometime in the future. One wunderful week of peace and quiet ! Wine, cheese, tennis, long walks and lots of croissants !! Menno and Anne-Lise’s beautiful cottage fulfilled every fantasy I have ever had about staying in a little country place in France. The cottage is lovingly decorated and thoughtfully furnished and equipped with more than one could ask for. Added to this, amazing views, private terraces, ample parking and the most easy-going and welcoming hosts. Saint-Colombe-en-Auxois, located close to many interesting medieval villages, wine routes and other attractions, is a “bustling” little quiet village where it seems most of the villagers are involved in restoring an Chateau as a labour of love. Do yourself the pleasure! Anne-Lise and Menno share their lovely home that is in a wonderful location for exploring Burgundy by car. The village is quiet and pretty. We appreciated having maps and information provided for us, as well as wine of the region. The house is very clean, comfortable and generously equipped. As they live next door, there was never any problem contacting them with any questions. Menno was helpful answering questions that we had on culture . We enjoyed having 3 pretty places to sit outdoors to enjoy the view of the hill opposite. It was easy to walk to the chateau , wash house and the goat farm to sample some more produce of the area. There were so many attractions near by to visit that 4 nights went too quickly. The house “Sous les roches”, was clean and well-presented. It’s also spacious (it could sleep up to 6, is perfect for a family of 4 or, like us, 2) warm (it has a wood-burning fire) and full of charm. The showers (there are two bathrooms, one with a bath and shower, the other with just a shower) were great. The accommodation is generally very well-stocked. The area is lovely. Really close by is Flavigny-sur-Ozerain, a beautiful hill-top village where ‘Chocolat’ was set (and completely unspoilt). The house itself looks over a gorgeous valley with fine walking opportunities and rich wildlife. We saw buzzards, kestrels, sparrowhawks; heard owls… We went to Bourgogne for its feted Romansque buildings, and Sous les Roches is the perfect location to discover them: Fontenay is 20 minutes by car, Vezelay is an hour, Autun is 75 minutes and Pontigny is 45 minutes. Chablis and the lovely Noyers-sur-Serein are easily less than an hour away, too. So, to conclude, the Auxois region of Bourgogne is worth visiting for its towns (Semur-en-Auxois) its wine (the house isn’t far from Dijon and the Cote d’Or, though we were there for the architecture!) its countryside and more…and the house, in a quiet hamlet perched on a wooded hill looking out over farmland, was a joy to come back to after our days out discovering the region. Thanks so much Menno and Anne-Lise, we had a lovely two days (too short !!) in your delightful little cottage. My husband and I have fallen in love with the Burgundy contryside – so different to back home in Australia – and want to return !! We stayed at this lovely chateau while road tripping through France. Menno was extremely kind and accommodating of our late arrival. The room was comfortable, great value, and the grounds beautiful – we only wish we had more time to explore before leaving the next morning. Would certainly recommend. Thank you! It was a very nice place to stay in the countryside. Our host, Menno, was very kind and helpful. The room was clean and very nice. It was a modernized old big big house. Big kitchen with everything you need for coking. Very charming place. What an incredible place! Really enjoyed our evening and night here, so glad we found it. Many thanks Menno & Anne-Lise. This is a delightful gîte in a very beautiful part of France. We just loved our two days here and wish it could have been longer – so much to see and do. Thanks for being such gracious and attentive hosts. All the very best for your various ventures here. The place is just amazing, and the location in the heart of French Bourgogne is perfect to discover the region. The house in itself is very cosy and comfortable, perfect even for big groups of 20-25 (we were 20 for one night). Anne Lise and Menno are very kind and helpful, flexible and open-minded. I warmly recommend to meet them ! Thanks so much, Menno and Anne-Lise, for all the kindness and hospitality. Sainte Colombe-en-Auxois is even more beautiful than we had imagined, and your welcome (and your recommandations!) made it even better. Beautifully located cottage with extremely helpful and attentive hosts. Perfect place to explore the Burgundy countryside. We loved staying in this lovely cottage and wished we could have stayed longer. The surrounding villages and countryside are beautiful and the cottage was in a great location for exploring the area by car. Menno and Anne-Lise were very welcoming and helpful and gave us plenty of information about the area. We especially liked the recommended map of walks from the cottage which we used for morning runs. Would like to come back sometime. Many thanks for a wunderful couple of nights. Wish it could have been longer. We have had 2 weeks of non-stop travelling around Burgundy, so lovely to relax, walk and reflect on our time in this beautiful country. France is a favorite of ours and your lovely wee haven is an abslute delight! Felt very welcomed, lovely late season apples, cheese from up the road and coutry walks. Once again, many thanks; will have a room for you if ever in New Zealand. What a wunderful village, house and area. We liked it so much, we couldn’t bring ourselves to leave. From the night when we arrived, we were hit by the plethora of stars and the exponse of sky over the valley. In the morning the view revealed itself to be even better then we could have imagined. Opening the curtains of the bedroom was an absolute delight. So yes, we loved it here. The warm fire at night, the relaxing calm of the days, a perfect place for us to relax, do some much needed creative work and pondering. Thank you both for the apples (delicious), for the information about living here (useful for my writing partially) and for the maps of the fantastic walks. We really don’t want to leave and I’m sure we will be back ! Lovely, lovely house! So lovely that it was fine also in rainy days. Beds are very very comfortable and the kitchen totally equipped. Menno & Anne-Lise are excellent hosts and come immediately in case of need. We loved our stay and absolutely recommend this house! 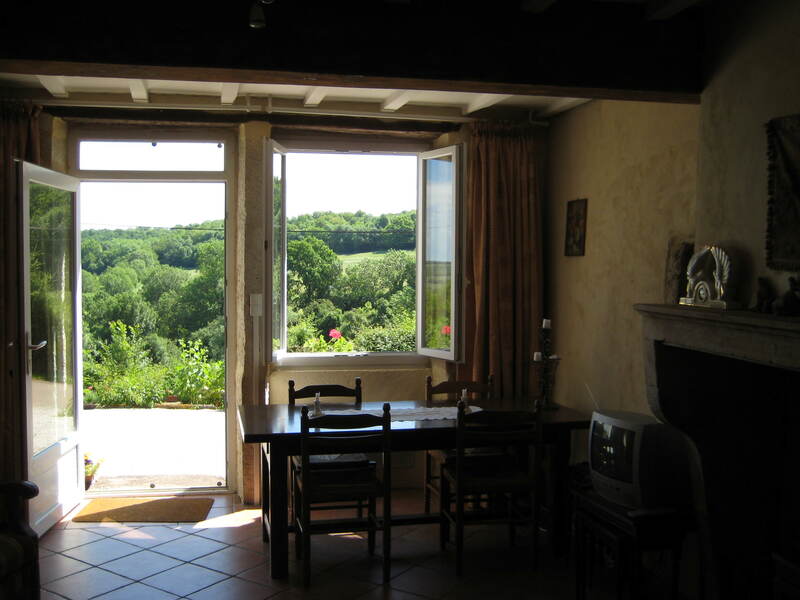 The description is pretty much summed up in the name: lovely cottage in Burgundy. Our only complaint was that we didn’t have the time to stay for a longer sojourn in this picturesque, sleepy village! Anne-Lise and Menno were extremely hospitable and very welcoming. We were greeted personally upon our arrival and they were very helpful with explaining the particulars of the cottage and the points of interest in the surrounding area. The cottage was exactly what we were looking for in the countryside. It was very clean and has everything you would need to complete your stay including a great selection of DVDs and wood for the fireplace. I would not hesitate for a moment to recommend this cottage. Lovely place with lots of bird singing, sheep and cow “sounds”. Paradise for those, who want to relax and to forget about the city. The house is very comfortable and cozy with all necessary equipment, very warm and nice. The hosts are very friendly and attentive. The place will surprise you by little lovely details: fresh field flowers in vase, candles, ready to go fireplace and barbecue, straw hats and other little things. We had a great time, traveling around, eating naughty cheeses and drinking wine. We would highly recommend this place to everyone! “La Petite Colombe” was an absolute blissful dream of our (much needed) vacation. Walking into this house was an immediate relaxation and peace! Spending our Easter weekend here was pretty much the best idea ever :-). Our doggies loved napping in front of the wood stove, while we read our books, cooked little dinners and just enjoyed ourselves. And, when the sun came out, the walking map was put to great use! I can’t say enough good things about this placce…. just that we are incredibly grateful for the hosts Menno & Anne-Lise and their hospitality. God is good in bringing us to this cottage. One of my favorite family get always :-). This place was exactly what we were looking for! A relaxing, peaceful, and comfortable place to get away from the busy things of life. How refreshing we felt after staying here! This place is surrounded by beauty, and the cottage itself is of utmost charm and character. We loved every minute of our stay. The kitchen was perfect, as was the room (very, VERY comfortable bed) and bathroom. The little garden area next to the cottage was nice, although we didn’t get a chance to use it. Also in the living/dining area, there was a fun little library of books and movies, which was loads of fun to enjoy right next to the wood burning stove. Oh, how I wish all my friends could enjoy a stay here! The hosts were perfectly lovely. I have no complaints. Only high praise! And also, it is an excellent location to see the towns of Semur-en-Auxois, Flavigny, and Vitteaux. Simply put…this place rocked. Many thanks for the help during our stay. We had a great time in Burgundy and we are lucky to have found you ! Thank you so much for the time in your charming cottage. After many, many miles on the motorbike, the rest here was perfect. Despite the cold weather, we did manage to walk a little in the area, which is very beautiful. To return when it is sunny and warm would be a delight. Many “thank you’s” again and perhaps we will see you once again another time. Thank you for providing a wonderful place for our stay in Burgundy. We loved Ecorsaint and all that Burgundy offers. We all, thoroughly enjoyed ourselves and have very fond memories of our week together, in Burgundy. Thank you for a lovely stay in Sainte-Colombe-En-Auxois. 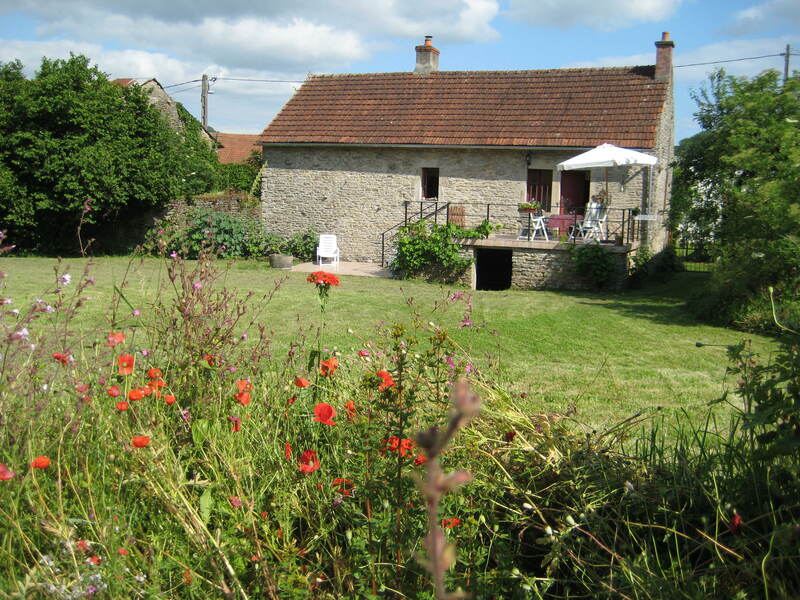 We were very comfortable and cozy in your gîte and fell in love with Burgundy. here we are again at home! I already miss the peace and the beautiful landscape of Sainte Colombe, your comfortable gite and the sunshine we had. Thank you Menno and Anne-Lise for such a well-equipped cottage. Also the introduction of a local wine which prompted a visit to the “Domaine de Flavigny-Alésia” and the purchase of a few cases. This is our second visit to Ecorsaint (first was in 2001) and it is still as peaceful as ever. Facinating scenery and the walks were wonderful whichever direction you choose. These included through the woods to Flavigny and down through the fields to Jailly-les-Moulins. Semur-en-Auxois (by car) was as picturesque as we remembered and the developments at the “Fouilles d’Alésia” were also worth a visit. Dijon, reached by a 30 minute train ride from Veneray-les-Laumes would have been worth at least another day if we had the time. 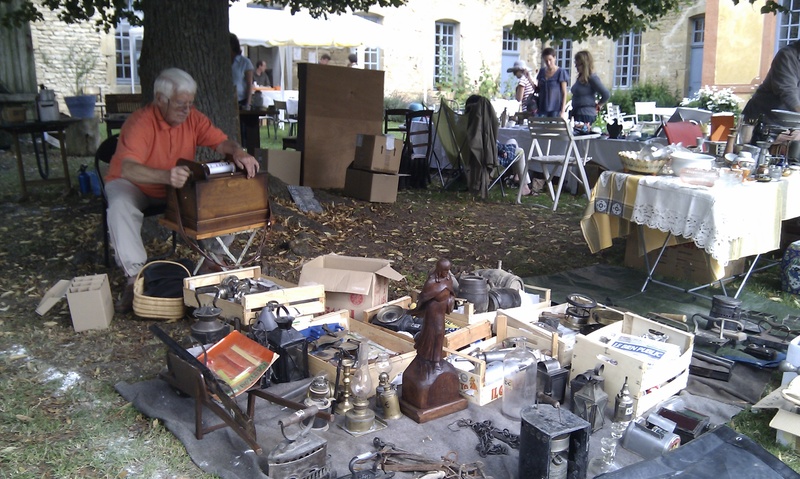 We hope to be able to return to Ecorsaint again in the near future. Had a wonderful holiday, plenty of sunshine and only a few showers. The views were fantastic and we were very comfortable in your gîte, home from home! Shall always remember our special week in this part of France! P.S. Also thank you for the wine; a very nice gesture!